Your employees want to access confidential information on their mobile devices; however, you need to keep that information secure. Is there an easy way? 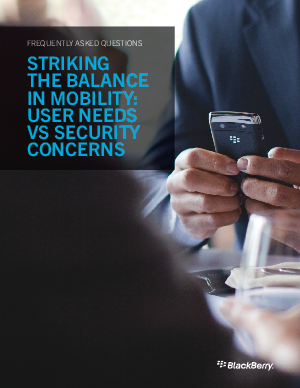 In this FAQ, discover answers to your top questions about balancing the security of your corporation and its confidential information with the usability and convenience that your end-users want on their mobile devices.